HAPPY HOLIDAYS EVERYONE!! I will upload some Holiday related gifts one by one starting from today to 2nd January..So stay tuned!! 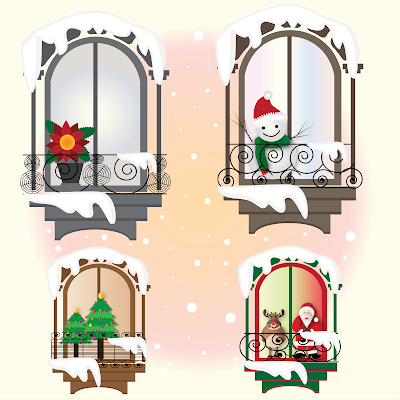 Here is the 1st set of 4 CHRISTMAS WINDOWS..Good for a simple Christmas E-Card! !